Replacement Compact Tractor, Lawn Mower and Utility Vehicle seats. Select from a variety of bucket seats and seat assemblies for Case IH, Ford-New Holland, John Deere and Kubota Compact Tractors, Simplicity Lawn Mowers, and Kubota Utility Vehicles. 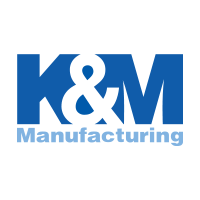 These high quality seat kits are custom built by K&M using reliable and comfortably made seats from Grammer & Milsco Seating.